Families and children waited anxiously to meet Santa in Santa’s House, sponsored by Optimist Club. 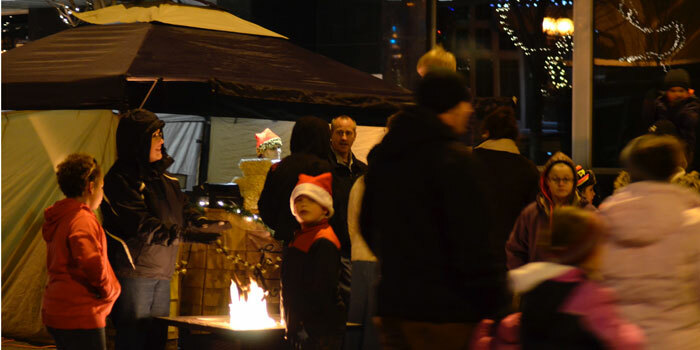 WARSAW — The children were beaming with holiday cheer at the “Happy Holly Days” First Friday event. 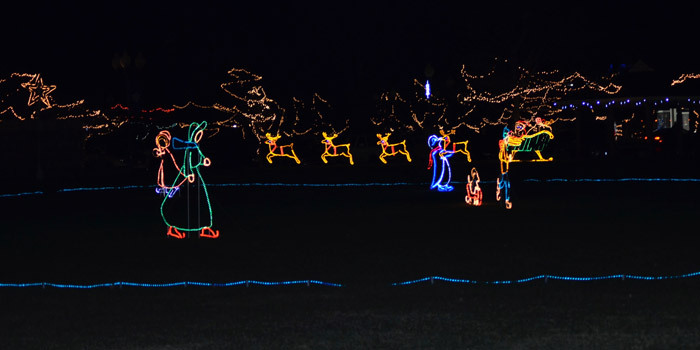 The annual holiday themed event kicks off the Christmas season for downtown Warsaw, sparking the start of the Central Park light display which will be lit every night until New Year’s Eve. 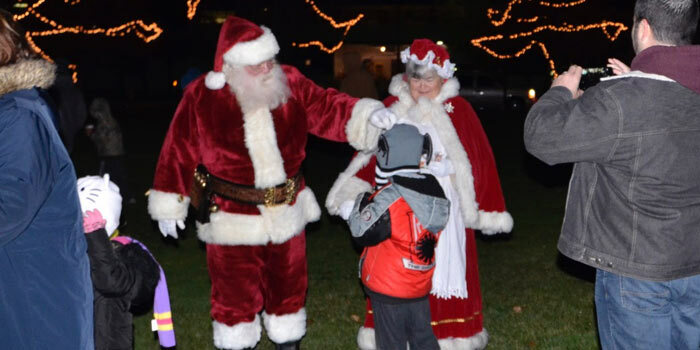 Santa Claus made his way to Warsaw after being in the area last week for the Village of Winona’s annual tree lighting. 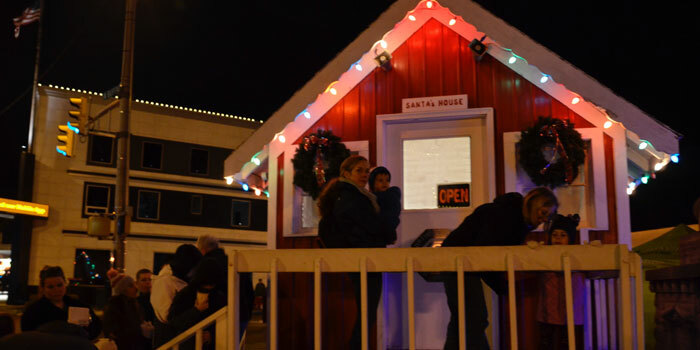 The Optimist Club sponsored Santa’s House, sitting at the corner of Center and Buffalo Streets, where families and children lined up to talk to Santa and tell him their Christmas wishes. Starting around 7 p.m., the annual Twinkle Parade began its procession from the Owen’s parking lot on Center Street where it made its way to Central Park. The parade featured local city departments, including Warsaw Police, Warsaw-Wayne Fire, Lutheran EMS, the Street Department and the Parks and Recreation Department. 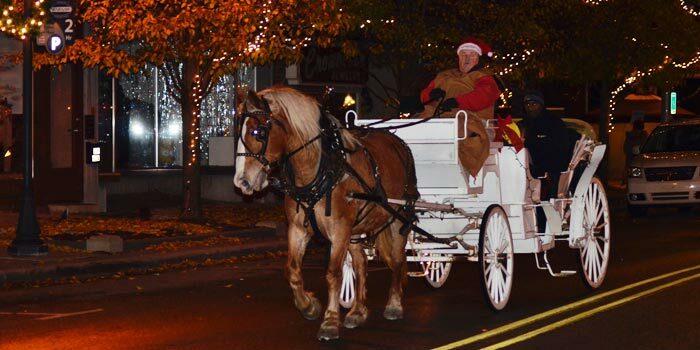 The parade concluded at a brightly lit, Christmas-light covered Central Park with the appearance of Santa and Mrs. Claus riding in on their carriage. The couple could then be found around the park talking and taking pictures with children while a group of students sang Christmas carols at the pavilion. Young Tigers Football could be found in a small trailer in the west parking lot selling cookies, popcorn and hot cocoa. 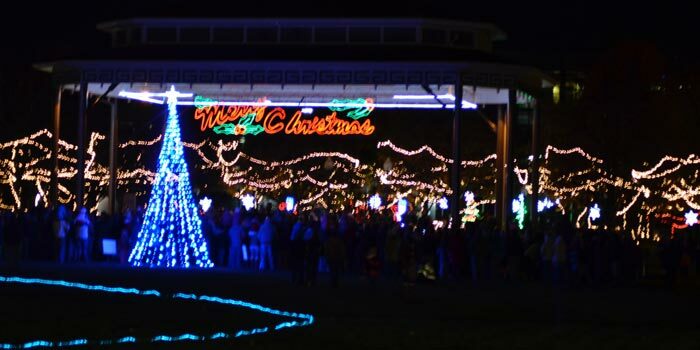 This is the 19th year for the display, a tradition for the Warsaw park. The display began in 1997 when N. Bruce Jr. and Ann Howe donated many of their personal Christmas displays. The number of lights has continued to grow over the years, now topping 200,000 lights. New pieces this year include a 20-foot Christmas tree, a set of elves and Santa Claus driving a train. The small refreshment booth is just as much a tradition as the light display, with all items only $1 and proceeds going towards future displays. 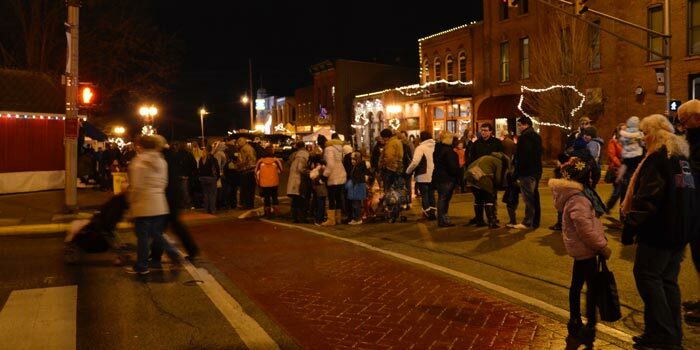 Back on Center Street the holiday music was still playing as families waited to go on carriage rides, with two carriages making a lengthy loop around the downtown area. Santa even used some Christmas magic and was able to be two places at once, with kids still lined up waiting to see Santa in the Santa House. Families lined up waiting for a chance to meet Santa. Carriage rides were available throughout the night. P&P Kettle Corn offered popcorn while fire places helped keep the crowd warm in the chilly night. A group of students sang carols at the Central Park Grover Pavilion. Santa and Mrs. Claus talked to children in the park after the parade. The ice rink display is one of the many iconic pieces in the display.